We are a group of young enthusiasts actively involved in a research aimed at understanding of the mechanisms of chronic pain. These mechanisms are focused on pain modulation processes and characteristics of endogenous system involved in the transmission of pain stimuli with particular attention to endocannabinoid system. Enthusiasm is absolutely necessary if you ever want to accomplish anything of value and it just so happens that PAIN LAB members are young, enthusiastic scientists, combining a good understanding of the research ideas with a solid university experienceand very strong motivation for scientific work. PAIN LAB was established in June 2013 by the IF PAN Scientific Council thanks to the National Science Centre (NCN) funding. 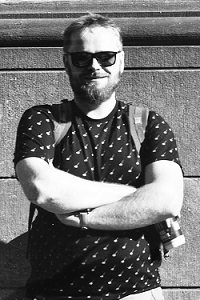 Jakub is our PhD student, who graduated from Jagiellonian University, where he studied neuroscience. He is working with both in vivo and in vitro models of Osteoarthritis using molecular, histological and behavioral techniques. 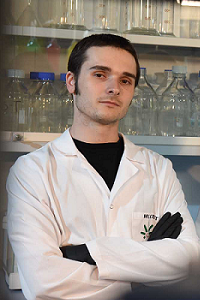 He is drawn to the pharmacological research on Endocannabinoid system and its role in inflammatory events. Beyond the scientific interests, he also enjoys boardsports like skateboarding or snowboarding, spending time in nature and analog devices. Marta is a PhD student. She prepared her Master’s Thesis concerning the role of enndocannabinoid CB2 receptor ligands in osteoarthtitis treatment. 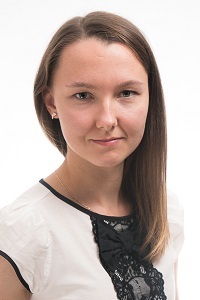 Her current work is focused on the role of inflammation in osteoarthritis development in both: animal model of osteoarthritis and in vitro human synoviocytes cultures. Apart from laboratory work, she prefers to spend her free time active, especially enjoys cycling and long-distance walking excursions.